Cheer up! 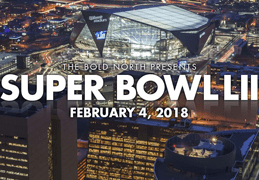 2019 Super Bowl 53, one of the most highly anticipated sporting events of the year, is kicking off on February 3. Millions of football fans tuned in to enjoy the finest Super Bowl run, wonderful half time show. While it's too early to tell which team will win the NFL Championship, you'd better get prepared for the Super Bowl 53 matchup between the New England Patriots and Los Angeles Rams, the live shows, performances. Here we show you how to watch Super Bowl on iPad iPhone offline anytime and anywhere. Just like NBC, there are in fact other network links offering free 2019 Super Bowl live stream, halftime shows and commercials, like YouTube. To put it another way, you can totally free download Super Bowl LII videos to iOS devices from online sites with the help of a proper tool. 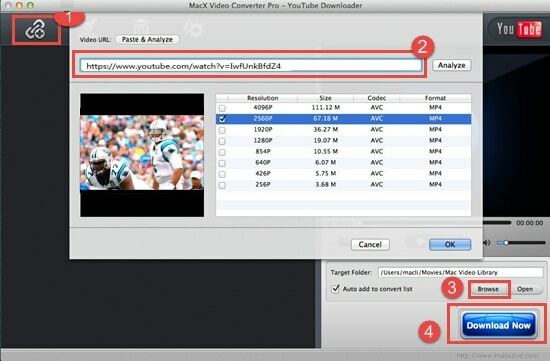 Considering the need to put Super Bowl on iPad iPhone, here MacX Video Converter Pro is highly recommended for you. Integrating the powerful ability to download Super Bowl Halftime shows like Maroon 5 hit performance, 720P HD videos, scores, commercials etc free from YouTube, Facebook, Dailymotion, Vevo and 300 more sites, with fast speed and original qaulty; and convert the downloaded videos into iPhone XS/XR/8/X/7/SE/6S/6 Plus/5s, iPad Pro/Air 2, other iOS/Android devices etc. Learn how to watch 2019 Super Bowl on iPad iPhone easily below. Step 1: Download 2019 Super Bowl games downloader for Mac on your computer or download Windows version. Then hit the "YouTube" button on the main interface. Step 2: Copy and paste the URL of halftime show, scores etc to the address bar that pops up automatically. Step 3: Click "Auto add to convert list" on the bottom right corner and the Super Bowl to iPhone iPad page will pop up. Step 4: To watch Super Bowl on iPad iPhone, simply choose the iOS devices from the profile list. Step 5: Click "Download Now" to start the download. You can also watch Super Bowl on iPad iPhone on sports streaming sites or free sports apps we enlist below with some limits. Note: With 350+ profiles infused, this video downloader can also help you convert the Super Bowl halftime shows, ive stream, or commercials to other mobile gadgets Android, Samsung Galaxy Note/Edge, HTC and many more, or other formats like MP4, MOV, 3GP, AVI, MKV etc with 5x faster speed and original video quality. You can also use the tool to download 2019 World Cup videos, highlights, songs, matches etc. Then you may transfer the 2019 Super Bowl videos to your iDevices Android devices with MacX MediaTrans to enjoy the wonderful game brought by the winners and players. You can simply watch 2019 Super Bowl on iPhone iPad through free iOS sports apps without cable subscriptions. The following apps are football fans' favorites. Before you download the app for 53rd Super Bowl live streaming on iPhone iPad, check out the free storage space left on your device. NBC is the host of the 2019 Super Bowl, so you won't miss any highlight of the 53rd Super Bowl on iPhone iPad with NBC Sports app installed. The good news is that it requires no authentication to live stream on iPhone iPad. Fans are provided with live sports events, clips, preview, schedule, highlights etc. Note that the Super Bolw LII live streaming app for iPhone iPad is only available in the USA. The official app of NFL is no doubt the best one for watching Super Bowl LII live on iPhone iPad. It offers live videos, highlights, up-to-the-minute scoring, articles, news, and the latest videos. Subscribers can replay every game with NFL Game Pass. However, some users complaint its bad controls within the app. FOX Sports GO is a good NFL alternative Super Bowl LII streaming app for iPhone iPad. With the app, you can watch live 2019 Super Bowl LII on iPhone iPad from FOX Sports, FS1, FS2, FOX Deportes, FOX College Sports, Big Ten Network etc. It gives better performance than other apps in playback controls. 2019 Super Bowl 53 Halftime Show Performers: Download Super Bowl Halftime Shows to Enjoy Now! Super Bowl halftime show is an exciting part of the whole event. And on the 53rd anniversary, some major performers are going to hit on the halftime stage. Yes, the final Super Bowl LII halftime performers list is nailed down now, several big names make an appearance during halftime shows of 2019 Super Bowl 53. Wanna enjoy your favorite artist singing? 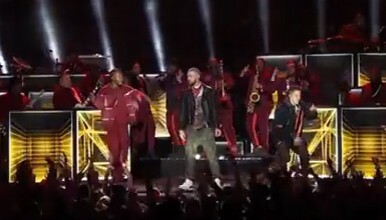 You can free download 2019 Super Bowl videos of Halftime shows, live performance on iPhone iPad.